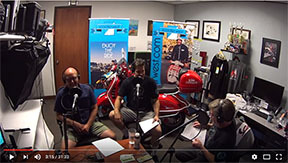 Episode 13 of the Vespa Motorsport Podcast, Beau Hufford, Vespa Everywhere. We discuss Beau’s fascination with scooters and how he ended up in San Diego, buying a Vespa from our shop. We then get into the “Vespa. Everywhere.” campaign and how you can participate in this exciting new adventure!